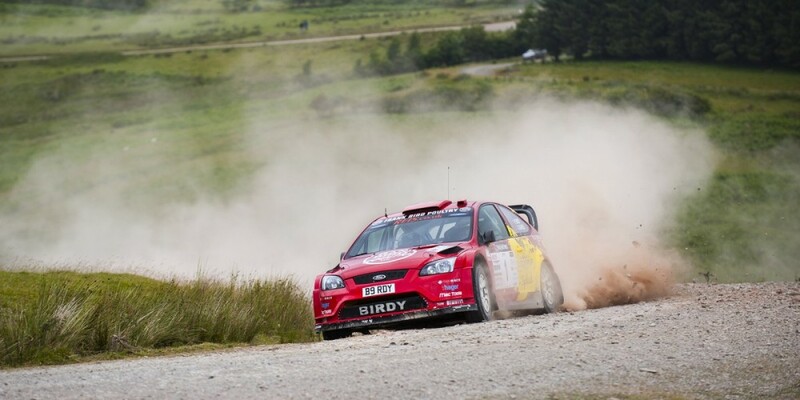 Paul Bird gave himself an outside chance of the championship with his second victory of the year on the Nicky Grist Stages. Brian Bell overcame his electrical problems on the last round and got to grips with the car and finished 23rd overall. With some of the best stages in the UK being used on this rally Bird was always going to be in contention for victory, especially carrying number 1 on his door after victory here 12 months ago. A steady run through stages 1 and 2 before a big attack on the 3rd and 4th stage saw him go to service at midday with a whopping 19second lead over 2013 Champion Euan Thorburn with Dave Weston a further 2 seconds back. Brian Bell started the first stage steadily with his time being in the 60’s, After that stage though he never looked back and continued to get to grips with the car and bringing the speed up more on every stage and as he checked his timesheet as the team checked over his Bell Leisure backed Ford Focus WRC he would see his name next to 28th overall, up a whopping 32 places in 3 stages. 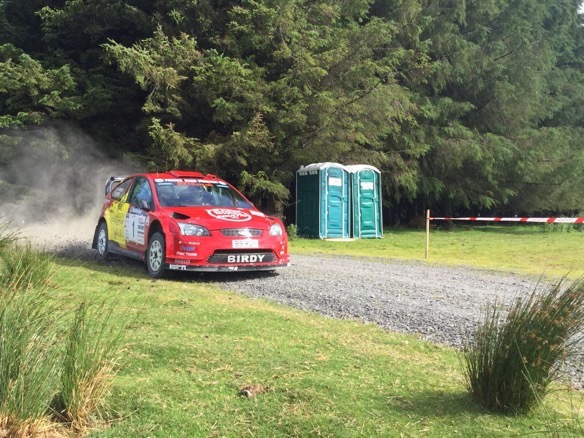 Bird and co-driver Aled Davies had done the hard work. Now was the time to be clever and let the young guns do the chasing without pushing too hard themselves. Thorburn would be the first to falter with brake problems dropping him back to 3rd behind Weston and almost 30 seconds behind Bird who was seeming to be in a league of his own. On the next 2 stages Bird would tie with Weston to leave him 21 seconds clear with one 7 mile stage left. A cool drive through the stage that Bird would probably hear every rock hit the car with a worry of something going wrong, but he made it. Seven seconds slower than Weston but that was the plan from service…manage the gap. A second consecutive victory and Bird back feeling at his best. Bell continued his good run in the afternoon and was really enjoying the event reporting that the stages were “just fabulous”. Also getting a clean run on every stage to climb to 23rd overall has given him great confidence in the car ahead of the next event, Woodpecker Stages on 5th September.